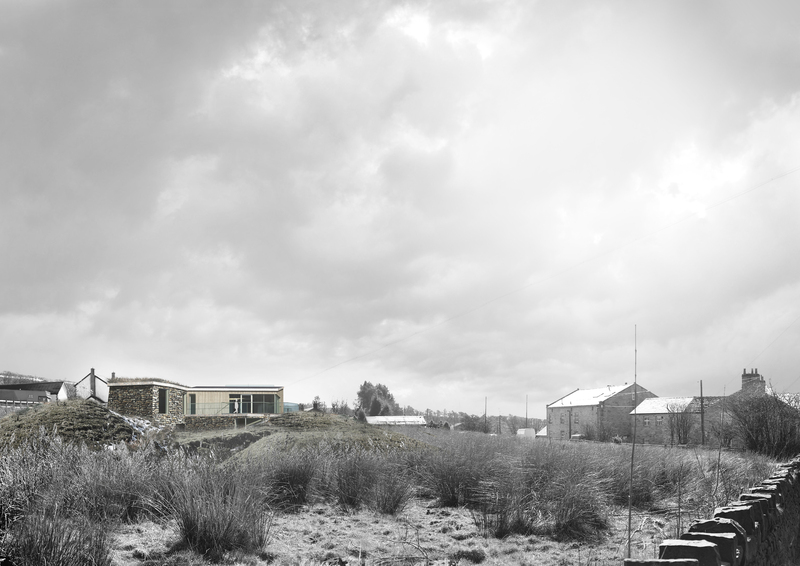 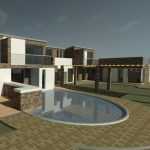 This large carbon-neutral residence is to be constructed in the Green Belt on a moor land site located to the north of Bolton. 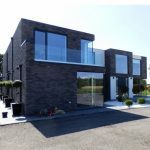 The house is designed to exacting standards in order to achieve carbon neutrality as well as addressing the requirements of the National Policy Planning Framework (NPPF) – ‘..design of exceptional quality or innovation, enhancing its immediate settings and be sensitive to the defining characteristic of the local area’. 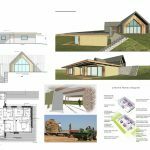 The design reflects the clients desire to avoid a ‘Case-Study’ style house with bolt-on technologies, and instead create a true family home. 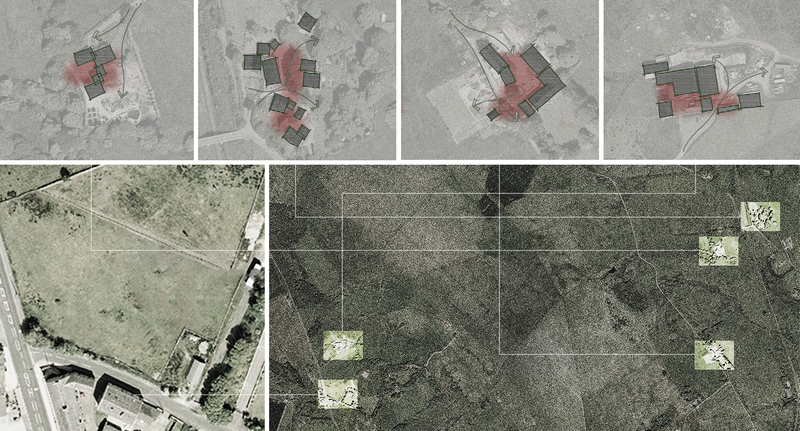 Every effort has been made to integrate the building within the landscape and reduce its visual mass. 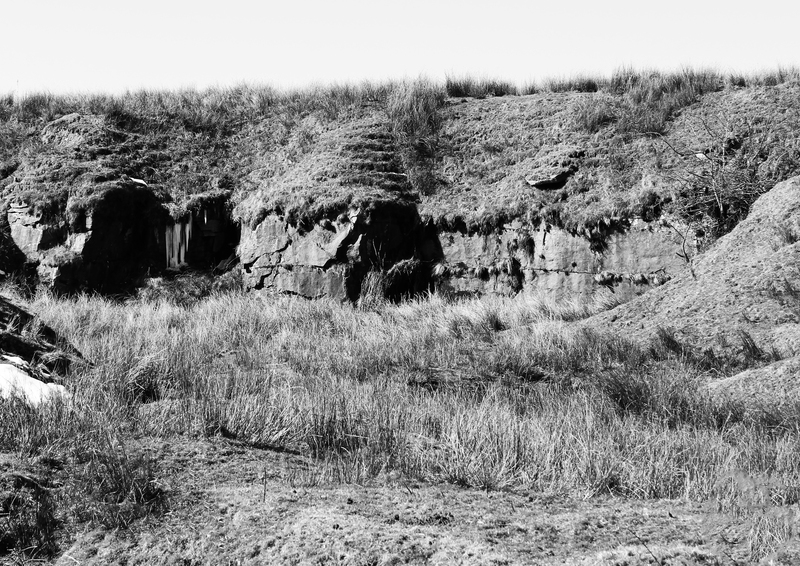 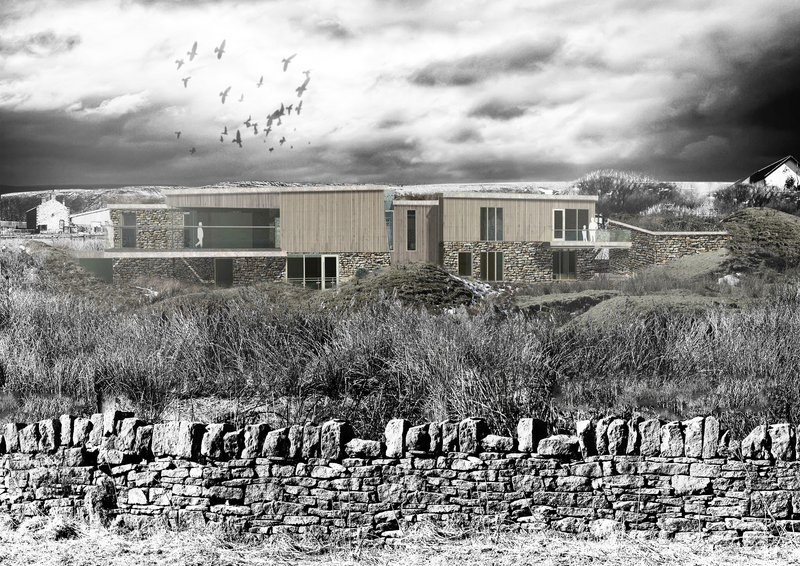 This concept is a visual interpretation of the local vernacular – referencing farmsteads and dry stone walling. 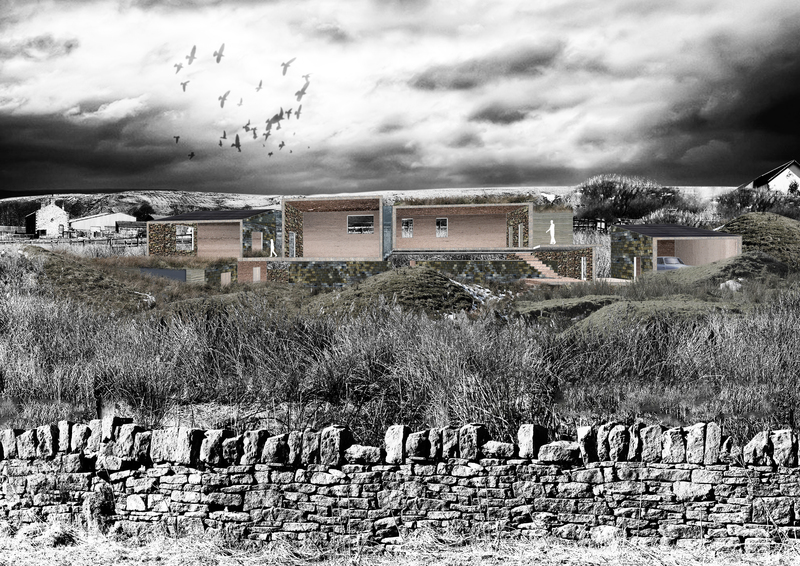 The building form is divided both horizontally and vertically so that the dwelling is observed as individual elements within the landscape – albeit in a visually cohesive manner.